YO BK is excited to announce that starting September 1, we are offering Inferno Hot Pilates 8 times per week with Natalie, Katia and Kate. 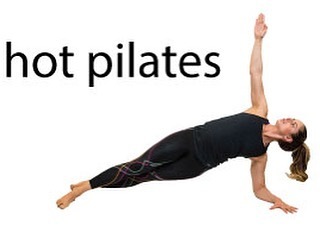 Inferno Hot Pilates is a 60 minute chal­leng­ing, full body, low impact, high intensity work­out, using mat Pilates prin­ci­ples. The room is heated to 95 degrees. It is designed for all fit­ness lev­els. It helps tone and strengthen mus­cles with­out the pound­ing of a high impact workout. The class will be held Tuesdays at 8 pm and Saturdays at 12 pm. Visit YO BK's schedule page for more details. Stop by the YO BK studio to learn about the class. We are happy to answer your questions!